Amarillo Dart Association - ADA Brag Page! Welcome to Amarillo Dart Association's Brag Page! ADA loves to help our community by raising money through dart tournaments and its members for a positive aid to our community. It's our way of "paying it forward." ADA feels that we contribute better to our community by helping by monetary donations and item donations to other non-profit organizations in our area. ADA is a registered non-profit organization that raises funds for charity purposes through its members and dart tournaments. We should all feel proud to be a part of such a great and giving organization. Congrats to these Amarillo players for finishing well at the New Mexico Open on November 9-11, 2012 in Albuquerque. The first 2 weeks of November, 2010 ADA members took part in a canned food drive for our local High Plains Food Bank. 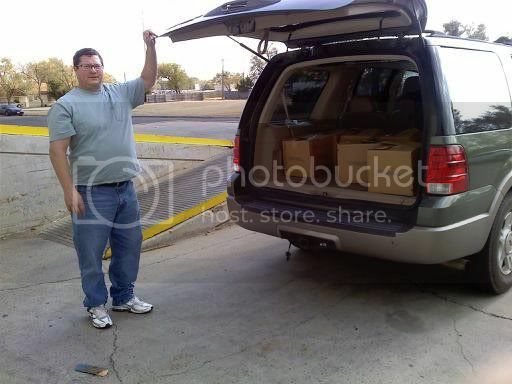 November 12, 2010 we delivered 200 pounds of food and $150 to High Plains Food Bank. Way to go ADA! 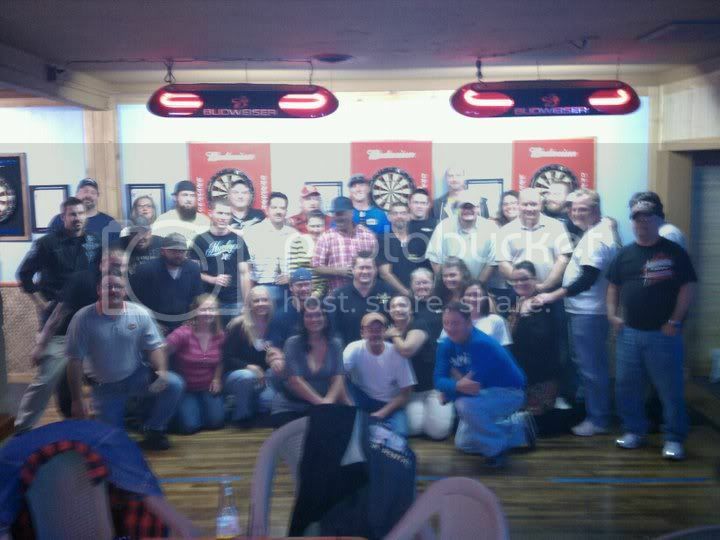 The end of November, 2010 ADA members held an open dart tournament to raise funds for a local non-profit organization, Eveline Rivers. We had not only ADA members come to take part in this tournament, but members from our sister association, WTDA, and "old hands" (those that do not actively play in league anymore) come out and play (46 people played). 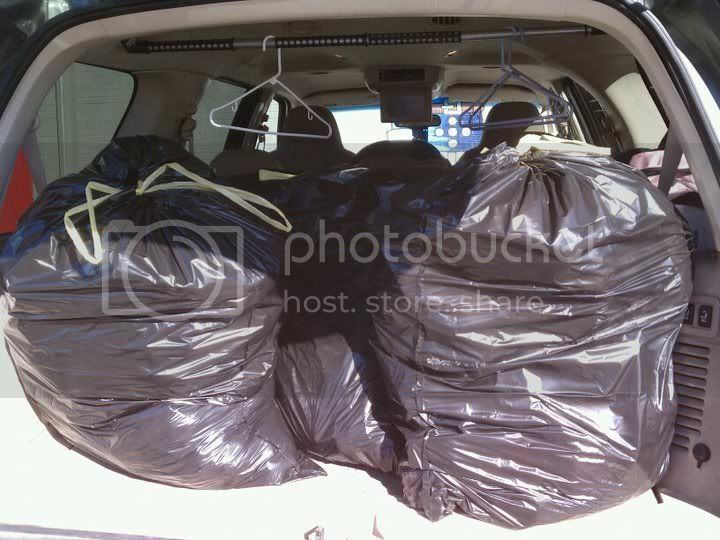 We also had a coat drive for the same organization. November 30, 2010 we delivered 68 coats and $230 to Eveline Rivers. Awesome work ADA! November, 2010 ADA members decided to sponsor 10 children from our local Salvation Army Angel Tree for Christmas. Team captains voted that we should sponsor children 10 years old or older and 5 girls and 5 boys. Each team was responsible for the gifts for one child. Below are the children we sponsored. December 10, 2010 we delivered all 10 angel gifts to the Salvation Army and later that evening we threw a benefit tournament to raise money for other children that were on the Angel Tree that had been overlooked. We had a great turnout for the tournament (32 people played, including people from WTDA and more "old hands"). $74 was raised from the 50/50. Hoot's Trip This received Adriana, age 12. Ohana's Dead Eyes received Cindy, age 10. Ohana's Who Tha $#*? received Aldo, age 11. Duke Tracy's Heavy Weights received Jennifer, age 11. Stumpy's Scrubbs received Kevin, age 10. Dugout's Insert Name Here received Elijah, age 12. Hoot's Double This received Sierra, age 10. Rounder's Mi Familia received Alisha, age 12. Whisky River's Old Dogs Two Tricks received Aaron, age 10. ADA Board is sponsoring Eugene, age 10. November 14, 2010 ADA had 6 members drive to San Angelo, TX to represent ADA in Cricket Regional Qualifiers. It was the first time ADA has ever had more than 2 people (Scott Faulkner and Beverly Morse) actively take part and play in our Regionals. Our hopes are that we can get at least 6 people for each Regional Qualifier so that we can host a Regional here in Amarillo. This would mean that people from Lubbock, San Angelo, Abilene, Midland, and Odessa would come to Amarillo for this Qualifier. Generally, the cost is $110, and players must wear black dress pants, a collared shirt, and black close toed dress shoes. Sometimes the cost is a little more if everyone agrees so that we can send more people to play from our region.